8 Ebola awareness workers including 3 journalists & 5 health workers were killed by angry villagers on Tuesday Sept. 16th in Wome village, same village where the Ebola virus broke out early this year. The workers were killed while out creating awareness and distributing flyers about Ebola. According to reports, the villagers, who believe the Ebola outbreak is a fabricated story, began throwing rocks at the delegation who arrived to do disinfection work and educate people about how to prevent Ebola. 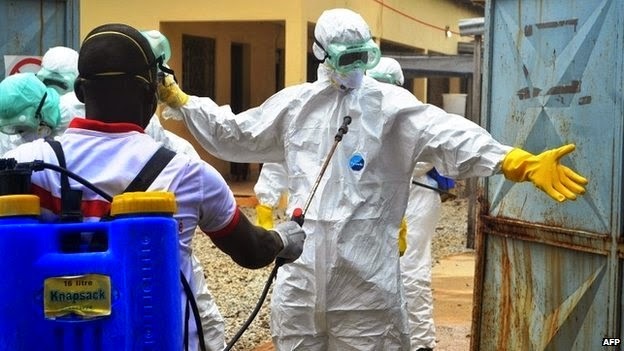 According to a journalist who escaped and later spoke to a radio station in Guinea, she said residents who have always rebuffed government's effort in containing the spread of the virus, gathered around them, first started by insulting them then the physical assault started. Overall, 8 people were killed. Damantang Albert Camara, a government official who spoke on the incident said the bodies of the workers were dumped in the septic tank of a primary school in the village. Their bodies were found yesterday September 18th.